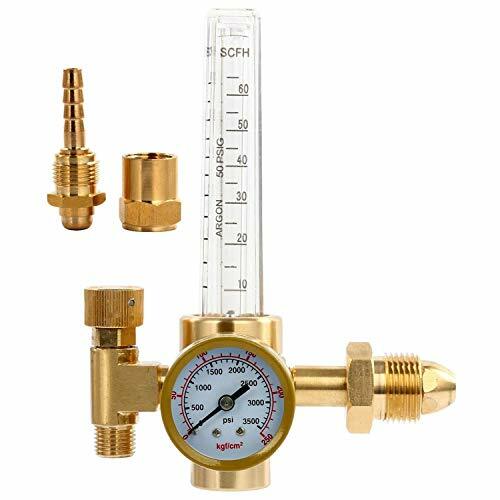 Argon Co2 Gas Gauge Regulator MIG/TIG Flow Meter Welder Welding Accs. Product prices and availability are accurate as of 2019-04-21 18:42:06 EDT and are subject to change. Any price and availability information displayed on http://www.amazon.com/ at the time of purchase will apply to the purchase of this product. 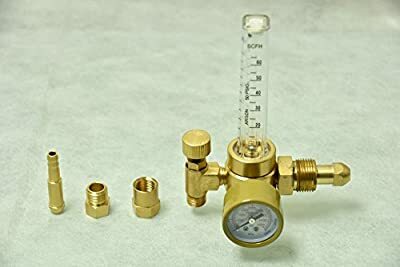 Specification Argon & Co2 meter regulator Design: Single stage piston. 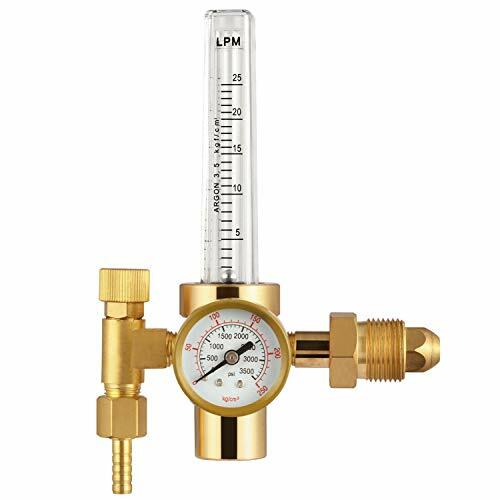 Yellow copper Brass material Applicable for many kinds of gases, such as CO2, argon, etc Poly carbonate flow tube and outer cover are impact resistant for maximum durability Reduces and controls the pressure of gases for Welding work Adopts piston decompression method, gas of high pressure enters into the regulator and then low pressure releases Can see numerical values of the LPM of carbon dioxide and argon from the transparent tube The pressure gauge which shows how much gas is left in the tank goes from 0 to 3500 psi The output flow is adjustable from 0- to 25 Lpm. 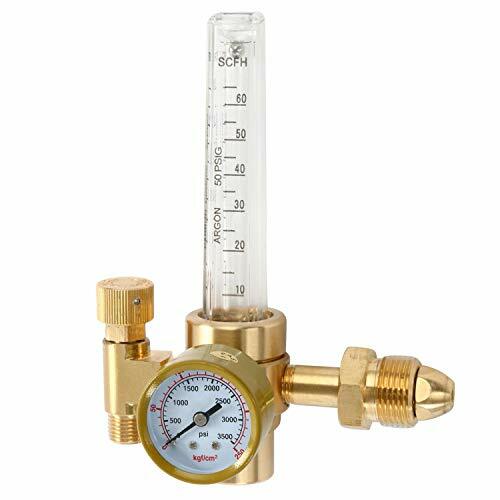 This flow meter will handle TIG / MIG welding both steel and aluminum. Ball which moves up and down in the flow tube. Outlet will fit both the female 9/16" - 18 nut or the male 9/16" - 18 fitting. 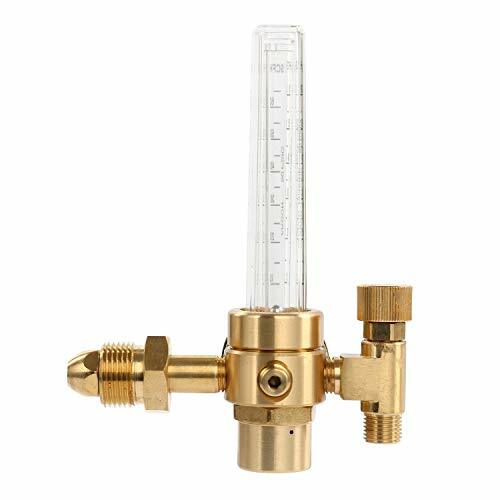 Comes with a standard 1/4" barbed fitting.